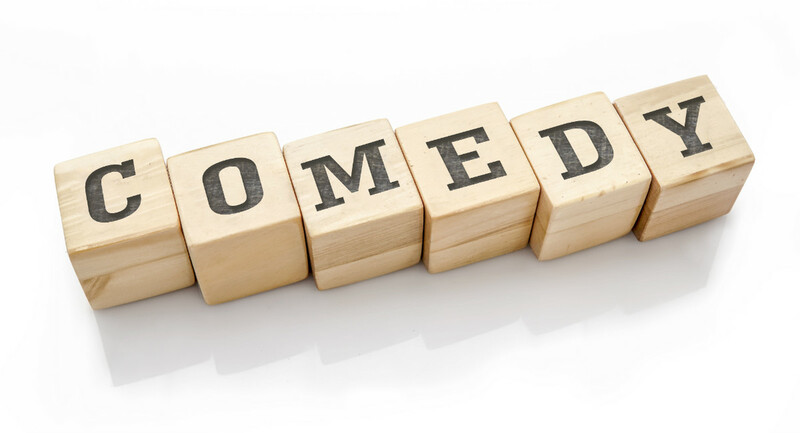 Are You Taking Advantage of the Immense Opportunities in Comedy? I started in stand-up comedy in the late eighties right at the end of the first major comedy boom. There was a glut of comedy shows on TV. 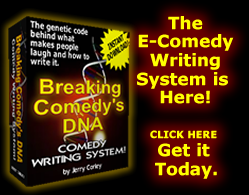 Because of the need for content, TV shows were booking comedians who were just not quite ready. As a result, audiences were getting burned out on it. 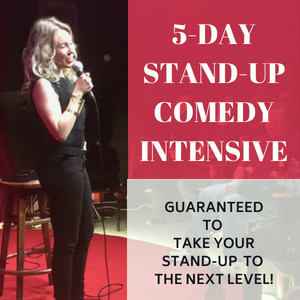 Shows like VH-1 Stand-up Spotlight, A&E’s “An Evening at the Improv,” Caroline’s Comedy Hour, Comic Strip Live, Comedy Central’s The A-List… The channels were full of stand-up comedy shows. In fact, one night, I was at a comedy club in Phoenix and out in the bar, the bartender laughed because I was on the TV on A&E’s An Evening at the Improv. As a joke, he changed the channel to VH-1’s Stand-up Spotlight and I was in the middle of a set on that show. And if a schmuck like me was appearing simultaneously on two comedy shows, you know there was too much comedy on TV! That kind of frequency belongs to someone like Jerry Seinfeld or Dave Chappelle. For more than a decade comedy went through a slow period. There were no longer lines outside comedy clubs. The TV comedy shows got canceled and loads of clubs closed around the country. But in the last 5 years, comedy is going through a resurgence that has never been seen before in history. And you are right in the middle of it. 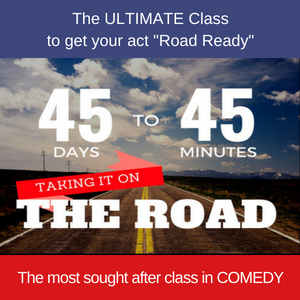 But are you taking advantage of the immense opportunities in comedy that are right in front of you? We live in a day where the internet, social media and streaming platforms like Netflix, Hulu, Amazon Originals and YouTube Red are all investing heavily in new content. Concepts that were once passed up by the networks are now being picked up by the streaming platforms. The landscape is changing all around. The sitcom is being redefined where more shows are being shot on location rather than in a studio with 4 to 5 predefined sets. You can probably thank Larry David’s Curb Your Enthusiasm for this new direction. The immense success of the sketch show of Key & Peele is making content providers hungrier for comedy. The Late Night landscape has done a 180 in the way that genre used to treat politics. Stephen Colbert has literally gone off the rails in attacking the president with his comedy. It’s more than just a monologue, it’s personal! Even the content-creating software available is jumping on this new creative train. There use to be one standard software for formatting script content. It was Final Draft. Now, the mainstream companies are getting in the business. Amazon has come out with Amazon Storywriter, a free software, and Adobe, the designers the dominant company for editing software (Premiere Pro), has introduced Adobe Story a multi-layered scripting, budgeting, and scheduling program for writers. What should this change be saying to you? 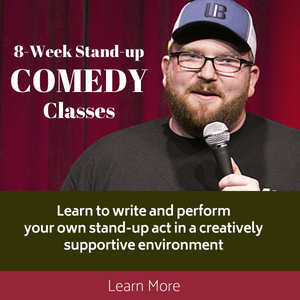 It should be saying loud and clear that you need to up your game and develop your writing chops so that you can start developing that additional revenue stream as a comedian. Being able to write and produce content changes your game from working club to club and pay check to pay check to having the opportunity to create and build financial stability and remain relevant in entertainment. 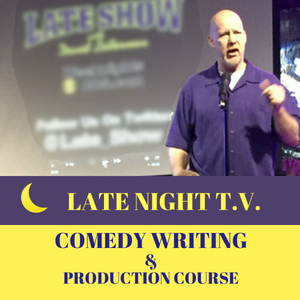 Whether you investigate the opportunities in writing for Late Night TV (which has exploded), writing television shows or writing screenplays, adding that skill-set to your repertoire is almost essential for you to develop security and a long-lasting career in comedy. This is all great news because just writing every day and learning to develop your skill as a writer is the first step toward getting there. I started as an actor. I added stand-up to my skillset so I could work when I wasn’t working. I was also writing headline jokes every day, submitting jokes for greeting cards, magazines, and radio. This served not only just to earn some side revenue, but every day I was getting better at writing my jokes. Then I started writing scripts. I made some progress there, sold a sitcom teleplay, then reached my goal of writing and executive producing a movie, (Stretch, starring some of the biggest names in Hollywood). That success opened up more opportunities. 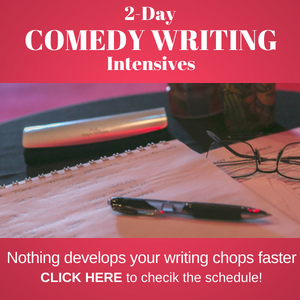 There’s no better time than now to start considering developing your writing because the opportunities in comedy are bigger and better than ever!